Top Handle 2000 must match with Top Plate 1958 for Blackmagic Ursa Mini/Mini Pro and Ursa Viewfinder. 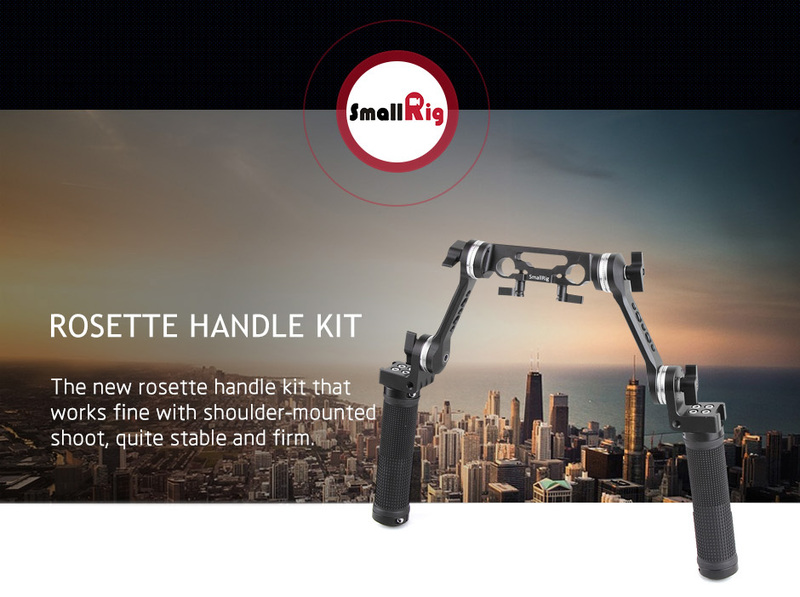 SmallRig Rosette Handle Kit (Cheese Short Arm) 2002 attaches 15mm rods for shoulder mount shooting. 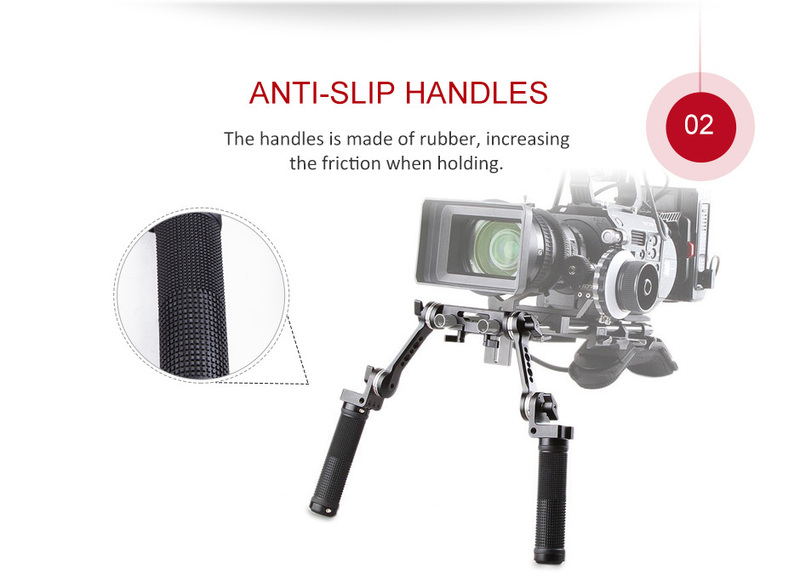 The kit comes with independent anti-slip handles utilizing SmallRig rosettes. Each arm is equipped with an array of threaded holes. Put the handgrips in front of your body for better camera control. Threaded holes on arms are for attaching accessories. 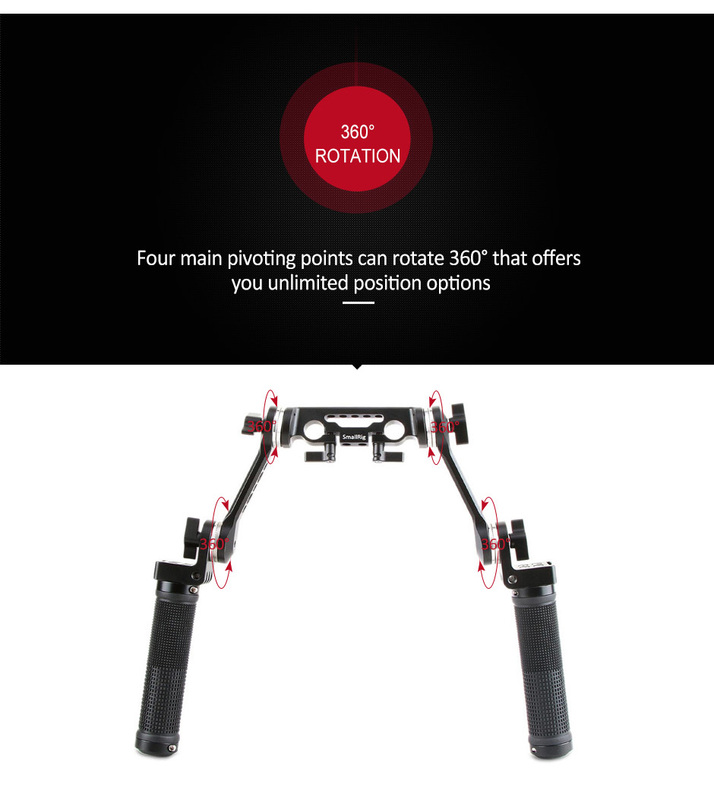 Four main pivoting points can rotate 360°that are controlled separately by black tension levers. This offers you unlimited position options. 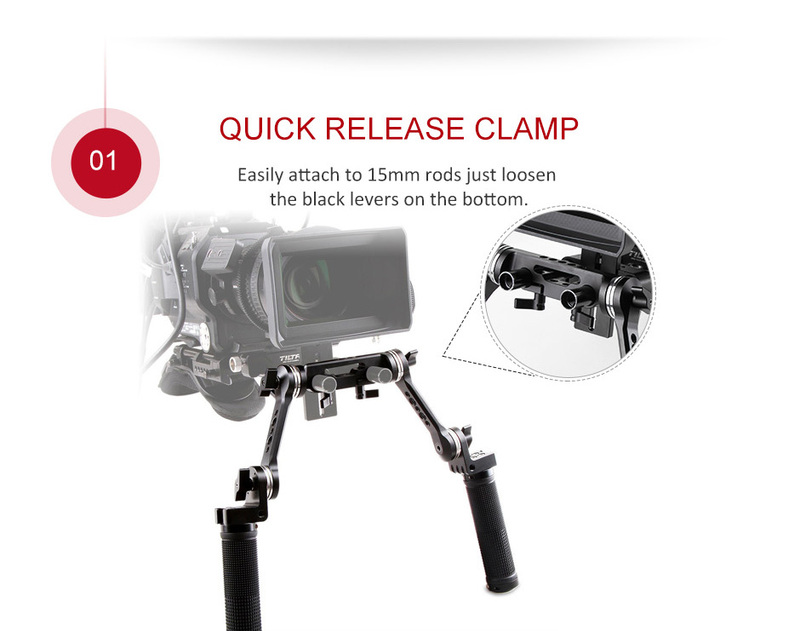 The quick release clamp saves your time on operation when attaching rods, just by tightening the black lever on the bottom. 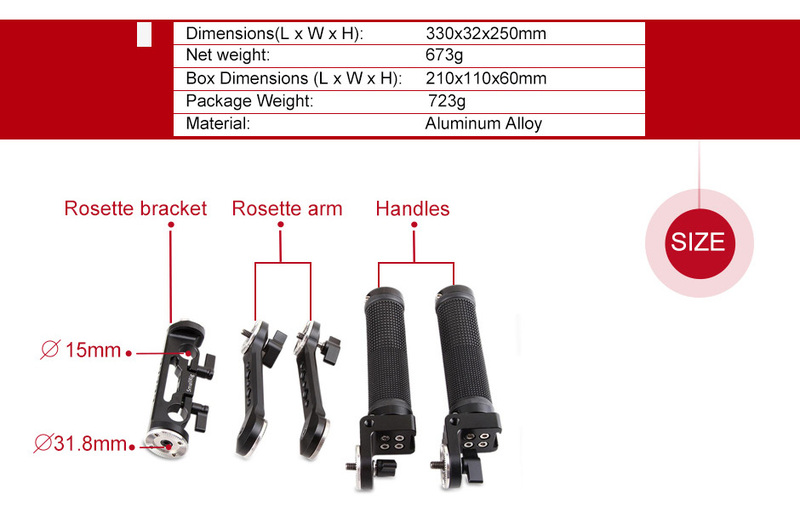 It is ideal for quick, lightweight, shoulder-mounted configurations.